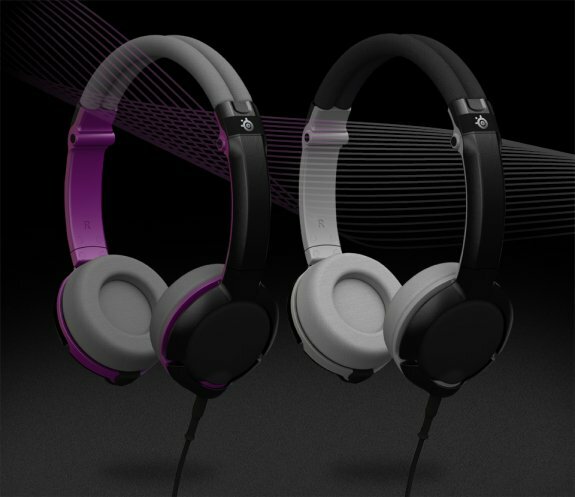 SteelSeries shows off Flux, a new line of compact travel headphones. SteelSeries the leading manufacturer of premium-quality, competitive gaming peripherals, today introduced the SteelSeries Flux headset. Compatible with PC, Mac® and Mobile devices, the Flux features new, on-ear mesh cloth cushions that pump out impressive sound levels via its 40mm driver units. The headset includes cable connections for an in-line, uni-directional microphone with mute controls that connect to PC as well as a connector with a single 3.5mm jack for Mac® and mobile devices. The multi-use headset was designed to be travel-friendly, the headset earcups to fold inward when wearing it around the neck, and collapse at the earcup hangers for quick and compact storage. The SteelSeries Flux factors in convenience for the user by including 2 input jacks – one on each side, which allows for two user options: to choose which side the microphone cable can be plugged into, and the ability to “daisy chain” or plug in another headset to the Flux which allows for multiple users to listen to the same device. Customization of the SteelSeries Flux headset will provide users with the ability to order various outer plates with different colors and designs as well as various colored cushions all of which will be available in Q2. The SteelSeries Flux will be available in Q2, which is also when pricing will be released.